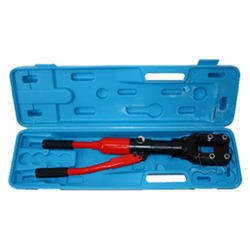 We are offering Hydraulic Cable Cutter to our clients. Our Cable cutting tools, sold under the Triumph Engineers brand are currently available in 2 standard sizes - 50mm and 85mm. The Cable Cutters, sport a light weight flip top design. All cutters are provided with a metal carry case and set of spare blades. We are highly acknowledged organization engaged in presenting the remarkable range of Handheld Hydraulic Cutter. - Extremely handy and portable. - Built –in with double acting pump. - Blades made out of special alloy steel to ensure longer life. 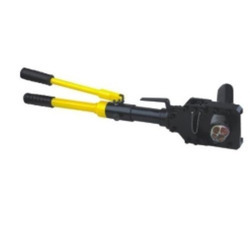 A Americans Pipe Benders Co.
Hand operated Portable Hydraulic Cable Cutter is used to Cutting Telephone Cable, Armored Cu/Alu cable.